Vacation Indonesia Tours is your gateway to Indonesia. We can immerse you in our culture, heritage and our extraordinarily diverse natural history. Here you will find white sand beaches, palm fringed bays, marine parks, lakes, waterfalls, rainforest, endemic animals, caves, megalithic monuments, kings’ burial sites, delicious and exotic food and above all – the welcoming and friendly Indonesian islanders. We specialise in birdwatching tours. 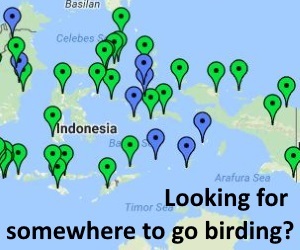 The Islands of Indonesia are justly famous for birdwatching. Over 1,600 species have been recorded and many are found nowhere else. 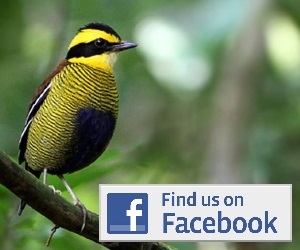 We can organise tailor-made guided birdwatching tours in Sulawesi, Halmahera, Papua, Java, Bali, Kalimantan, the Lesser Sundas and Sumatra. These sample tour packages may meet your requirements. If they do not, or you wish to vary them in any way, please feel free to contact us below.